Kevin Arnold's green New York Jets jacket that he wore in "The Wonder Years" has became a piece of history. The jacket, along with other items from the popular TV show, was donated to the Smithsonian Institution. Costumes, studio tapes, scripts and Polaroid photos from the show have been donated to the National Museum of American History. They came from several people. These include Fred Savage, who played Arnold, as well as his mother and other cast members. "The Wonder Years" ran from 1988 to 1993 on ABC. It was recently released on DVD. Curator Dwight Blocker Bowers said the show was "meticulously designed" to recall the American experience in a turbulent time of the 1960s. It focused on the simple moments of growing up in a suburban town. Savage said his mom, Joanne Savage, likes to keep everything. She held onto the green and white letterman style jacket since the show ended. When her children joked she was a hoarder, she would quip that the Smithsonian might want their things one day. So Fred Savage said he was surprised when the museum actually did want his old jacket. He said "The Wonder Years' was special because it was about everyone. "The show celebrated the achievements and the heroism of everyday life. Your first day of junior high, the first time you call a girl, your first kiss," Savage said. "That's where the beauty lies ... That's what makes up our memories." Savage, 38, played the lead character Kevin Arnold. Savage now has two young children and directs TV shows, including "Modern Family." As a child actor from the age of 6, Savage said he was fascinated with the cameras. He always wanted to direct TV shows. Savage said he sees some parallels between "The Wonder Years" throwback to 1960s suburbia and "Modern Family's" take on life now. Minds have opened, he said, to different ways families come together. Critical thinking challenge: Is it possible that an experience from your own life could have been depicted on The Wonder Years, which was set in the 1960s? If so, describe it. If not, explain why. that jet jacket must be one of the great things in live if Smithsonian Institution wants it so bad. I would want it but its not mine its Kevin Arnold's jacket.He is lucky to have that jacket but that is what he wore and that is what his live was bast on.To me that jacket is worthless to me,no one could by it if Kevin wanted or not to sell it. Kevin Arnold, who owned the show, "The Wonder Years," has donated many stuff from his show, to the Smithsonian Institution. By doing this, Arnold has allowed everyone to enjoy his show, even though it is not running anymore. What Kevin did was extremely generous. Instead of auctioning off his possessions, he kindly donated them to the Smithsonian institution. Honestly, I don't think that Fred Savage deserves a spot in the Smithsonian, like I feel like he was a good actor and all but does he deserve to have a spot in the Smithsonian. The White House Christmas tree is a tradition. It is delivered by horse-drawn wagon because of the traditional meaning. The families that lives in the White House get the trees from the National Christmas Tree Association contest, they have been getting the trees their since 1966. The tree is put in the blue room to be seen by military families this weekend; I will also get to see the tree when I go next week. In conclusion the White House has a beautiful Christmas tree. I do not know why Smithsonian wanted to take the jacket so they can display it to the public. There really is no point. It's just showing the world about Fred Savage's jacket in the "Wonder Years". But, this is an important artifact from the 20th century because it can tell viewers what TV shows were like in the past. Also, I think people who watched "The Wonder Years", would have thought that the TV show was awesome because it was about everyone. Critical thinking challenge: Is it possible that an experience from your own life could have been depicted on The Wonder Years, which was set in the 1960's? If so, describe it. If not, explain why. Answer: No, because there are some things that do not get depicted in the TV show. Things like going to college, graduating college, getting the high school diploma, and lots of other things aren't depicted in the TV show. 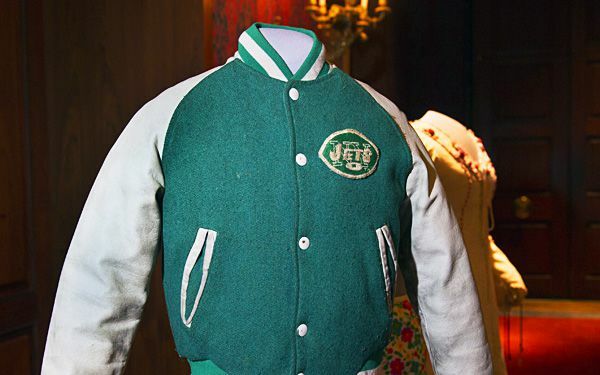 An actor named Savage has recently donated his famous Jets jacket from the wonder years to Smithsonian institution. They would then put the jacket inside a history of television museum so everyone can see. Wonder years was a hit tv show about a little boys life in a city. The tv was about a regular kid and his experiences through his childhood. I really don't get it, Why is a jacket so expensive. I know its been in tv shows but i really don't think that it should be in a museum. In the TV show the Wonder Years, Kevin Arnold was famous for wearing a green New York Jets jacket. It has become a piece of history, since it was donated to the Smithsonian Institute along with other items from the show. These items came from Fred Savage (actor who played Arnold), his mother, and other cast members. The Wonder Years ran from 1988 to 1993 on ABC. Savage said The Wonder Years was special because everyone could relate to it in some way. I did not know that items from The Wonder Years would be valuable enough to be in a museum, but I think it's cool that it's happening. 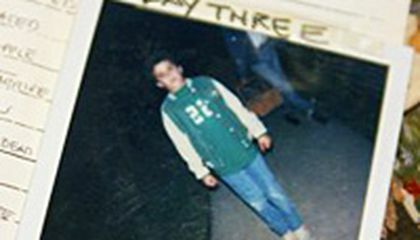 Kevin Arnold's green New York Jets jacket that he wore in "The Wonder Years" has became a piece of history. The jacket is now in the Smithsonian museum. At the museum there is also Polaroid photos of the jacket and more collectors items on display. I think this is very cool, and that more things like this should be on display at museums. running out of more important exhibits to have to resort to holding TV show props now.